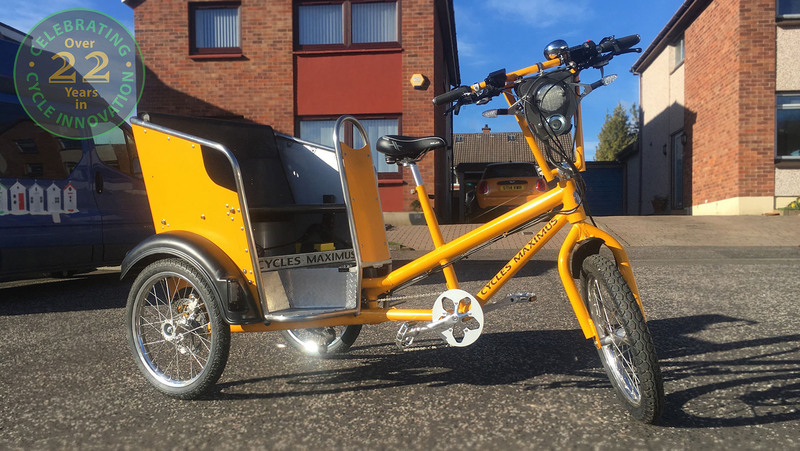 The Mini-CabTrike™ is a new pedicab trike built around the Series 700 Chassis and has been inspired by the larger CabTrike™ (Series 900 Chassis). The Mini Cab has a seat that allows 2 adults or 2 children passengers. The suspended seat is made of a tough netting material. There is a seat belt and secure storage under the seat. Rugged mudguards complete the styling of this body and support an integrated rear and front facing LED lighting system when supplied.